I've been so busy mourning the disappearance of summer, that I haven't given fall a proper hello! So, hello fall, and welcome! I think I am now ready to embrace you! We are headed out this weekend for a whole bunch of official fall activities. We're hitting up the pumpkin patch (Ellie's second time this season already, as you can tell from the picture above), apple picking, and maybe some chili and hot apple pie! And then, of course, football! Because what would fall be without our weekend ritual of watching football? I hope everyone enjoys this wonderful fall weekend! She is SO CUTE! Hope you guys have a blast this weekend!! Aaah! That pictures is adorrrrrable! I am so with you, I've been too busy mourning summer that I just started to enjoy fall this past week! 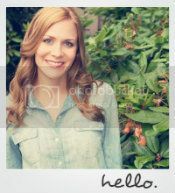 Kyna...what an adorable photo of Ellie! 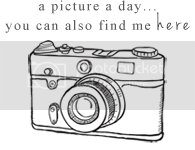 What kind of camera do you have? I need to upgrade mine. And would love to do a recipe post soon! 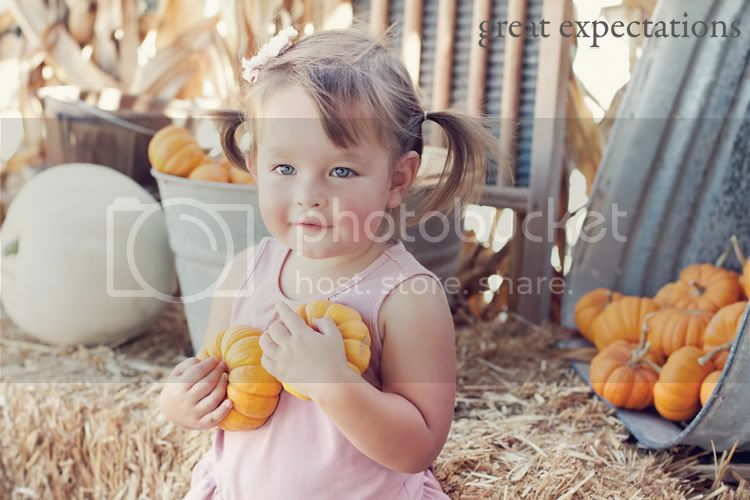 Baby pumpkins + a cute little girl = darling pict! Sounds like a fun weekend. Have a great time! I absolutely love love love this picture! Ellie is a beautiful little girl! Hope you had a fun weekend! I always enjoy visiting a pumpkin patch in the fall... I wish San Diego would decide to have fall weather. Chili and hot apple pie sound amazing right now. stopping by from the blog hop. your photos are SO great. clean. clear. crisp.